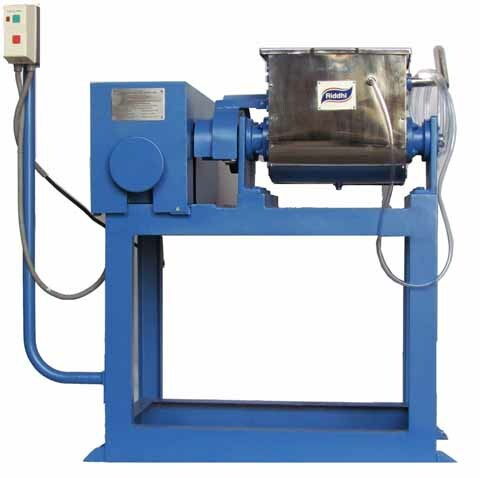 Suitable for Kneading, Dispersing and Mixing of highly viscous material having dough like consistency used in the Chemical, Pharmaceutical, Food, Adhesives, Dyestuff, Paint, Refractory, Rubber, Plastic and related industries. 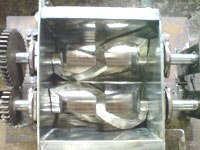 Sigma Kneaders comprises of a double ~U~ shaped container welded and machined together inside which rotate two ~Z~ shaped Sigma Blades in opposite directions at 2 different RPM i.e. 36/50 RPM. The clearance between the blades and the walls of the container are kept to the minimum to ensure maximum efficiency in the kneading and mixing action. The shafts of the Sigma Blades are fitted in bearing blocks which are each provided with roller bearing, steel glands, Teflon/rubber seals for smooth and leak less running. Lubricating points are provided for continuous lubrication of the shafts. A hinged type cover with locking bolts is provided for charging the kneader. The Kneader is mounted on a sturdy base frame fabricated out of ISMC section and free from vibrations. The machine is provided with a normal M.S. Jacket arrangement for heating or cooling as required. The machine is available having all contact parts in M.S. as required. 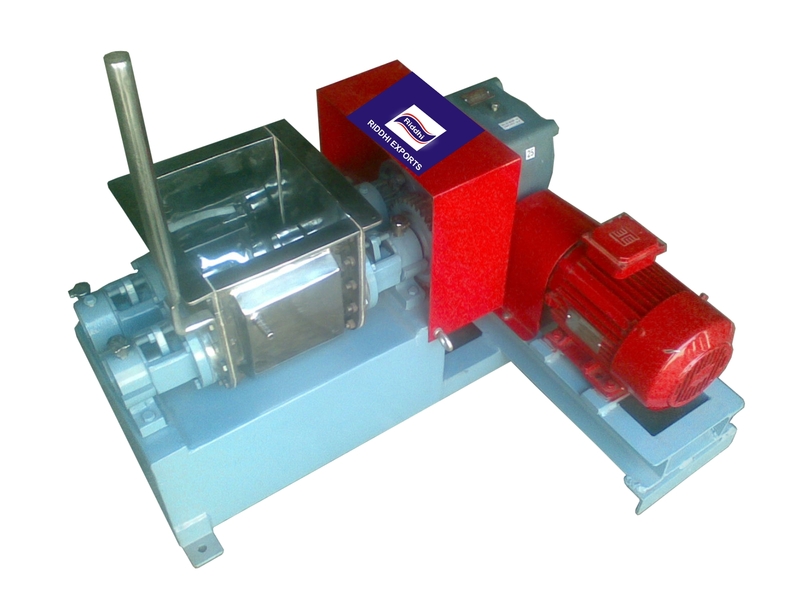 The Kneader can be tilted by means of a mechanical operated hand lever provided to tilt the container from 0-110 Degree even during running condition. The drive consists of a 3 ph, 415 V, TEFC Electric Motor coupled to a horizontal Worm reduction gear box which drives the finely cut helical gears enclosed in a M.S. guard. The Drive is complete with base frame. All steel parts are painted with 2 coats of metal primer and enamel paint. TOTAL VOLUMETRIC CAP. IN LTRS. Note : Working capacity to be calculated @ 60% of Total Capacity.